SYD ENERGY offer professional electrical installations, design and maintenance for homes and offices throughout the Sydney Region. We pride ourselves on our personalised service and quality workmanship. We also gladly offer a 24/7 emergency electrical assistance service, to ensure your home or business are never left in the dark. With so many lighting solutions on the market today, the difficulty can lie in finding the right solution to match your decor and intended purpose. A hugely popular choice are halogen down lights. Whilst versatile and stylish are not suited to all intended spaces. Halogen lights have a tendency to become very hot ,if installed and positioned incorrectly can cause a fire in your home. With so many options, let the professionals at SYD ENERGY show you the best solutions available for you. LED lighting systems are exploding onto the market , with not only householders installing them at faster rates than ever but also Government bodies and supermarket conglomerates following suit and implementing there use not only throughout Australia but worldwide. With growing demand, new and beautiful electrical LED lighting solutions are being developed and manufactured with energy and cost reducing benefits greatly out weighing those of the incandescent bulb. With a range of colours and styles, let SYD ENERGY bring warmth and ambiance or amazing illumination to any room in your home or office space. Let SYD ENERGY experts show you how to take the effort out of everyday life with the amazing options available in home automation. Talk to us today about the latest State of the Art technology available now, offering automated control of lighting, security, doors and many other electrical applications. Add a modern touch to your home or business today. SYD ENERGY install and offer a maintenance service for all Emergency Lighting and Exit Signs to AS2293 and AS/ANZ 3000 wiring regulations. SYD ENERGY also comply to all relevant Australian Standards, ensuring peace of mind and maximum safety for your employees. With just the average home needing over 700meters of electrical wiring and telecommunications cables, some faults maybe a little more difficult to pin point than others. Here at SYD ENERGY we are experienced and equipped to find almost any fault, anywhere, in your home or office block. Using specialised equipment and available 24/7, you can count on SYD ENERGY to be there when you need us. Living in a such a climatically diverse country, ceiling fans are necessities to maintain comfort in your home or office in summers blistering heat. SYD ENERGY don't just install ceiling fans but we will also help you chose the most suitable location to achieve maximum coverage and comfort in your home or office. SYD ENERGY offers an electrical hot water system supply, install, relocate, repair and maintenance service to commercial and domestic properties, 24hrs a day 7days a week. 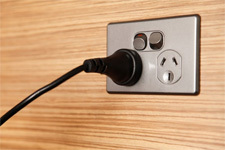 Let SYD ENERGY install the most effective solution to the constant worry of power surge and power grid spikes, by installing a surge protection unit to your switchboard or power-point. The risk associated with power surges and spikes is unlimited to your electrical appliances and products. From your television to laptop or desktop PC, don't run the risk of losing thousands of dollars of electrical equipment or years of stored memories. Let SYD ENERGY show you the best and most cost effective option available. With the worries of Global Warming and ever rising electrical rates, businesses and households alike are looking for relief from the exuberant costs that come with lighting up a warehouse, office or running everyday household lights and appliances. SYD ENERGY are specialised in utilising various techniques to save energy therefore reducing the costs associated. From energy saving lamps and LED lighting solutions to Power Factor Corrections, in some cases significantly reducing costs to businesses and households. Ask us how we can help you save today. Smoke alarms are life-saving devices that provide safety to all indoor occupants. Smoke alarms are designed to detect smoke created by fire and emit a loud alert to occupants in potential danger. Since 1994 it has been mandatory to have mains-powered smoke alarms in ALL dwellings in New South Wales , Victoria and South Australia . Study conducted for over 20 years through out the US has proven that odds of safe exit from a house or business are increased by a further 50% with the installation of smoke detectors. If you have a working smoke alarm you are reducing the fire risk to yourself and your family and/or your tenants. SYD ENERGY can log and comply with all Australian Safety and OHS maintenance standards in place for your home or business. 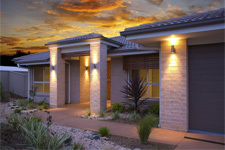 Ensure safety, security and visibility around your home or business with SYD ENERGY's professional installation service of exterior lighting and security lighting. Being one of the most effective forms of intruder deterrents at a fraction of a cost of alarm systems. Let the friendly staff at SYD ENERGY take you through the huge range of styles and options available to keep your home or business safe. Our electricians fit all commercial lighting to OHS and Australian Standard 2293.1. SYD ENERGY can install or replace light fittings and power points to any room in your home or office block. From replacing a bulb or fitting out an extension, or new building .Let SYD ENERGY do the job for you, no matter how big or small. At SYD ENERGY we offer a Supply, install and repair service for homes,strata and industrial kitchen requirements Sydney wide. Experience with all major brands and models,ask us if we can help you today. Let our friendly staff guide you through the safety benefits and piece of mind that comes with the installation of a Residual Current Device. R.C.D's offer a fast power cut off whenever an electrical current inbalance is detected in a circuit. Without the installation of these devices, your curious toddler or member of staff may endure the unrestricted force of 240volts of electricity in usually unforeseen incidents. 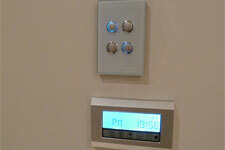 Arrange for SYD ENERGY to install piece of mind to your home or office. As your home or office ages, sadly the technology installed becomes outdated and out of touch with safety standards and advancements. With most older style houses today still operating outdated fuse wire switchboards, whilst still operating they are no longer recommended to Australian Standard AS3000 and leave a heightened risk of electrical fires. SYD ENERGY's expert electricians can bring your home or business up to date with safety standards and regulations by installing the latest advancements in circuit breaker technology, assessing the right switchboard solution for your home or business needs. With trained and experienced engineers ,SYD ENERGY provides a first class installation, repair, diagnostic and maintenance service to business' and residential dwellings Sydney wide. With exhaust fans playing a crucial role in sustainable air quality and mould protection all installations and repairs are done complying to OHS standards. Trust us at SYD ENERGY to keep your home or office running to full efficiency round the clock. SYD ENERGY offer experienced professionals for the rewiring of all residential buildings and dwellings. From our meticulous and thorough management to our first class workmanship. There isn't a job too big to too small for our electricians. Ask us how we can cater for your budget and electrical needs.